Last week was a great time for music in Central Florida. Local, regional, and national acts came through the area, covering a broad range of genres and styles. It was so hard to choose, but here are two of the memorable performances of the week. 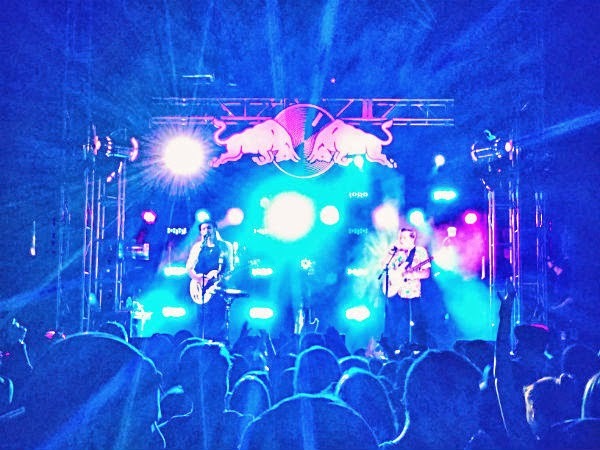 On Wednesday, courtesy of Red Bull, Cherub rode into downtown Orlando for a free show on the Sound Select Tour Bus, bringing its retro funk, pop, rhythm and blues sound along with it. If you haven't listened to the duo - Jordan Kelley and Jason Huber from Nashville, Tenn. - get on it. It is not to be slept on. Aggressive lyrics about deteriorating relationships, greed, and drinking that may at first offend, carry deeper messages about the sadness and emptiness inherent in a world of constant partying with no purpose. Backed up by high-energy guitar, bass, and drums, Kelley's falsetto rings out in true '80s fashion. The two are releasing a new album, available May 27, called Year of the Caprese. Pre-order it on i-Tunes and listen to Cherub's already released sounds on SoundCloud. You can also catch Kelley and Huber on their Blow'd Tour, happening now. The following night, Greenhouse Lounge stopped by West End Trading Co. for a great show with Planetary Funk Machine and The Happy Campers. This is another group you definitely don't want to ignore: Hailing from Jacksonville, the trio combines intense musical talent with an irresistible energy. 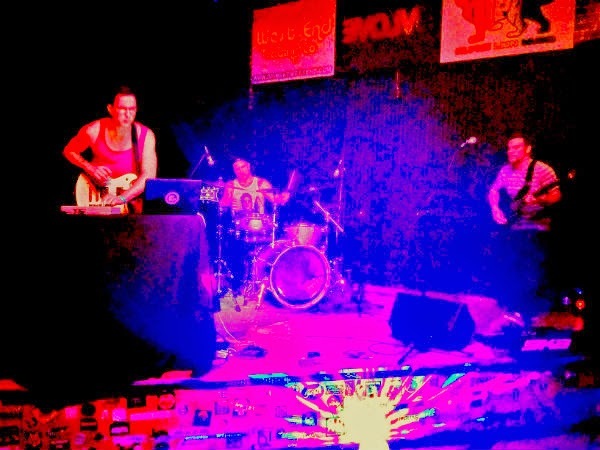 Electronic samples and beats are supported by guitar (Zach Weinert), bass (Dave McSweeney), and drums (Julius Wilkes). These guys really have the knack, and I guarantee they will have you dancing (I was within seconds of the start of their set). If you are a fan of jamtronica, you will want to give Greenhouse Lounge a listen. Check out "Freakshow" below, or go to the band's website for a free download of the newest album Freakout/Now Reflect.